The Environmental Health Coalition has raised concerns about the Port of San Diego’s plans to expand the Tenth Avenue Marine Terminal, which could increase air pollution in Barrio Logan. Pollution would result from an increase in the use of diesel trucks and ships operating close to Barrio Logan. According to the coalition, the current expansion plan will increase cargo throughput by as much as 589 percent and may increase greenhouse gas emissions by up to 540 percent. Officials from the Port of San Diego said they filed an Environmental Impact Report, which was distributed for public review from Jun. 30 to Aug. 18. They plan to respond to nine public comments in their final draft, taking the community’s feedback into consideration. A draft environmental impact report estimates that the project will add over 800 trips of diesel trucks through Barrio Logan everyday, for an approximate total of 982 trips. 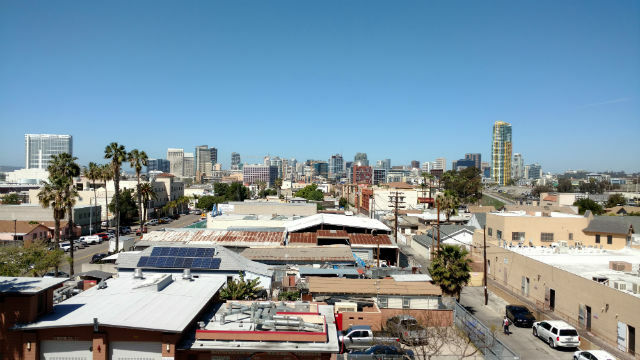 According to the California Environmental Protection Agency, this neighborhood is among the worst five percent of neighborhoods in cumulative pollution burden in the state. “The Port needs to go back to the drawing board to reduce its plans for expansion and increase its use of zero-emission trucks and electric shorepower for ships,” said Diane Takvorian, executive director of the environmental coalition. The coalition, based in National City, has highlighted the increased health risks for cancer and respiratory illnesses that would result from the extra air pollution. The California Air Resources Board wrote a comment letter offering similar criticisms of the plan. According to coalition, the residents of Barrio Logan have one of the highest rates of children’s asthma hospitalizations in San Diego County.